April accommodation special: Stay for two consecutive nights between 2 April and 31 May 2018 and get a complimentary bottle of MCC and a cheese platter in your room on arrival, a heritage wine pairing for two and a R250 meal voucher to Under Oak’s very popular pizzeria. Phone +27 (0)21 869 8535 or email accommodation@underoaks.co.za. Finding a relaxed setting in Cape Town for a weekend of brainstorming or conferencing is a great idea. 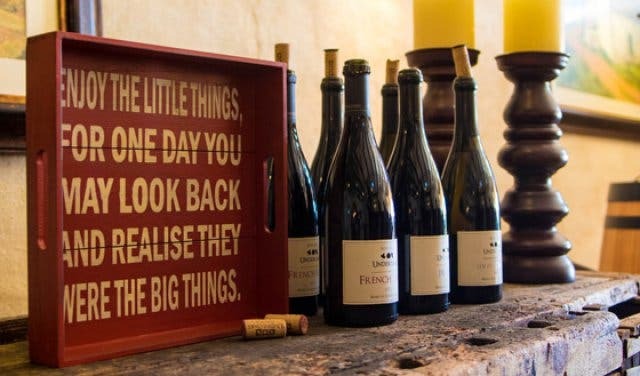 Doing the same at a top-rate wine estate in Paarl a mere 45 minutes away is an even better idea. 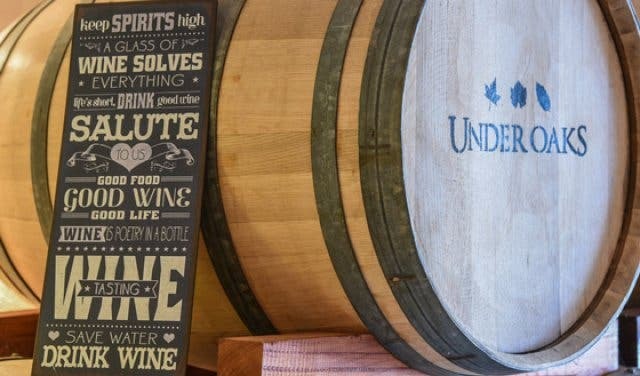 Under Oaks is a picturesque wine estate with stunning views of the Drakenstein mountains and a rich history producing award-winning wine. The estate prides itself on its commitment to ensuring visitors enjoy an experience that’s as near to perfect as is possible. 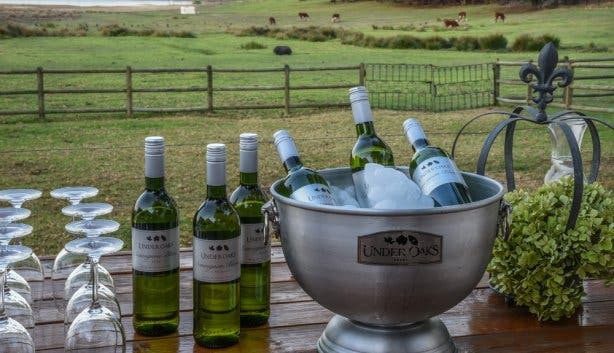 The ideal breakaway for corporates, Under Oaks ticks all the boxes. The estate is easily accessible from the N1 and has an air-conditioned meeting room surrounded by a beautiful garden shaded by giant trees. Situated in the Manor House, the room seats up to 50 delegates comfortably, depending on the seating arrangements, with furniture that can be arranged to suit your needs. Under Oaks offers excellent full-day and half-day conference packages with various add-ons, which allow you to customise your meeting according to your requirements. Visit www.underoaks.co.za to view the various packages and add-ons available. Meetings, strategic planning and brainstorming breakaways don’t have to be exclusively about the work, so, while you’re there, why not take the chance to taste some of Under Oaks’ award-winning wine made from grapes handpicked under the watchful eye of winemaker Bertus Fourie? 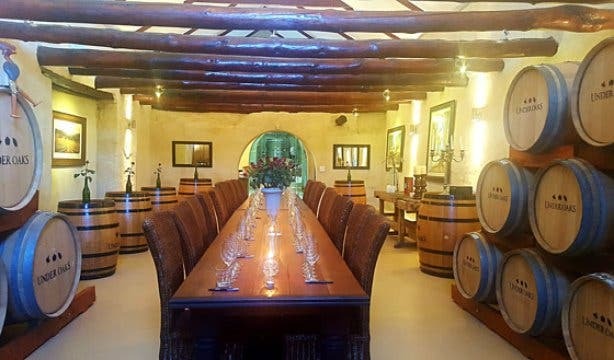 In keeping with the homely atmosphere of the estate, wine tastings are conducted by their very knowledgeable wine tasting team that will fill you in on the history of the wine and even share some anecdotes. If your meeting is set to last for more than a day, Under Oaks has you covered with a four-star guesthouse voted “The Best Private Luxury Accommodation in the Western Cape” by the Luxury Travel Guide 2017. The guesthouse has eight beautiful rooms that offer rest and recuperation after a hard day’s work. Delegates can choose between premium deluxe, luxury, and standard rooms fittingly named after red and white wines. The rooms are en-suite with spaciously modern bathrooms. Most of the rooms have their own private patio that looks over the farm dam and mountains in the distance. The saltwater swimming pool provides the perfect excuse to take a break from proceedings and cool down on a hot summer’s day. See more about wine tasting experiences at Under Oaks, such as their wine appreciation days and heritage wine pairing event. 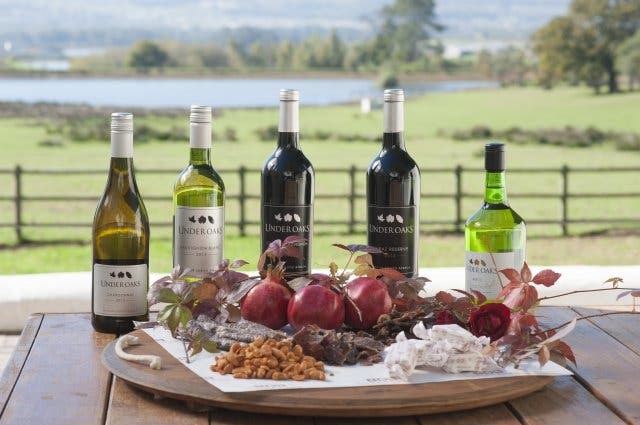 Also, check out Cape Town's top wine tastings and function venues as well as accommodation specials in and around Cape Town. 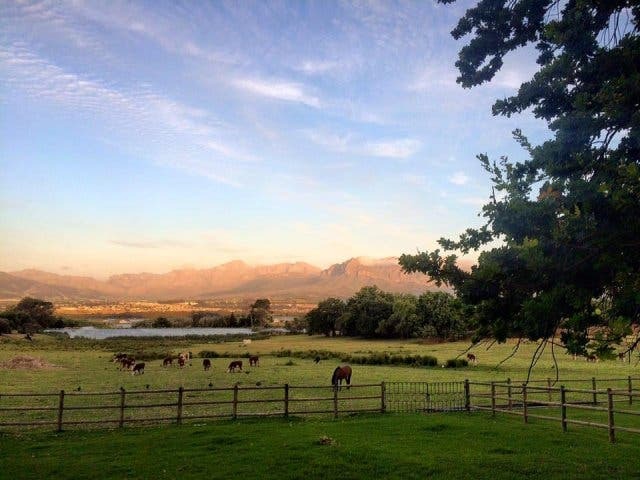 Read more about some of the Cape’s top wine estates including Boschendal, Haute Cabriere and Peter Falke.